Our next 4 Rs event, plus a repair cafe, will be on Saturday 20th. Jan at Winlaton Centre, North St, Winlaton NE21 6BY. Save yourself some money and reduce pollution, landfill and litter. 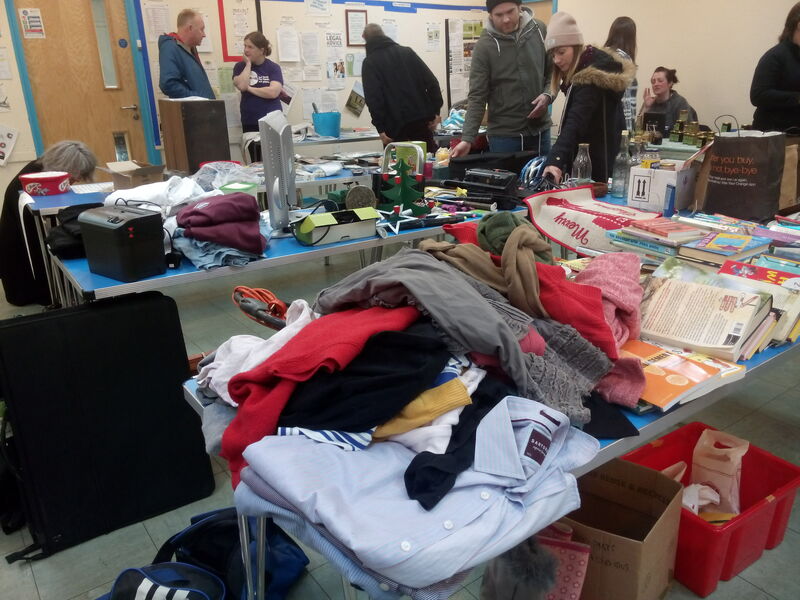 Bring any good quality, item that you don’t want any more – presents, kitchen equipment, books and music, clothes, in fact anything that works and is clean. Put it on our give and take table for someone else who wants it to take away or swap. See if there’s anything you want in exchange or for a donation. We are also featuring our first Repair Café with FixIt Café and local menders including Chopwell Men’s Shed. Bring broken things or tools or specialist knowledge. Between us we will work out if it can be fixed, then how to fix it. leatherwork computers sewing hi fi’s toys iphones glasses microphones bicycles shoes jewelry blenders watches battery chargers skateboards microwaves vacuum cleaners ,,,,,,,we’ll try anything. There will be all sorts of stalls to help you carry on 4R-ing! (Reduce, reuse, repair, recycle). Watch this space. Children’s activities available. The Winlaton Centre will be providing refreshments.